Achievements. A single word that lights up the eyes of many a gamer. No game is complete without them, and here at Rare we've certainly had a lot of fun designing the achievements in Sea of Thieves. We've gone for a-vast list of 60 achievements. It has everything ranging from human cannonballs to Kraken encounters – if you can think of it, you can bet we've covered it! Creating achievements is a huge cross-team effort, and as we're sure you'll agree the artwork below, and the full album on our Facebook page, is stunning! We felt therefore that we should go the extra mile and set up each of these achievements so that when you unlock them, you can set them as a nice Xbox wallpaper too. Thanks to some community feedback, we also took on board that the majority of you wanted achievements written in riddles – so we've done exactly that! For those who aren't partial to the odd riddle, we've set up a discussion page on the Forums where those that have been deciphered can be reviewed, or you can always visit your favourite local Xbox achievement site for the lowdown in the coming days. Of course the following represents the initial launch set of achievements in Sea of Thieves, and over time we will look to add more – not least the achievement designed by our very talented community member Macatwork as part of the Design an Achievement contest. So without further ado, put the kettle on and we hope you enjoy reading through the list of launch achievements for Sea of Thieves, and have as much fun unlocking them as we did making them. See you on March 20th, not long now! "With the capstan raised and the sails unfurled, 'Now bring me that horizon!' a pirate yelled." "When the wind grabs the sails a pirate will hoot, 'Full billow mateys, we are full speed en route!'" "When you find yourself needing a new direction, turn hard and weigh anchor to plot a correction." "Cashing in rewards is always a pleasure, made even better when a number's the measure." "Even a pirate wants job recognition, so buy a Promotion to show your position." "Nothing says being social, like crews drunk down the local." "A tankard or two may make you blue, have a few more and you will surely spew." "A new peg leg, an eyepatch, a hat and a hook, maketh the pirate to complete the look." "Head to the Weaponsmith to extend your Reach, please excuse the pun, it was a figure of speech." "Visit the Weaponsmith to empty your coffer, we hear there's some buckshot on special offer." "Many people claim pirates had black sails, visit the Shipwright and she'll prove they're folk tales." "Block an attack as you scream 'parlay! ', then strike them down to ruin their day." "When an attack is blocked then fret you may, as being counter-struck will ruin your day." "Halfway to Mastery is an important occasion, mark it with a Promotion to display jubilation." "Pirate Titles are earned in many ways, and owning ten will leave enemies agaze." "A Trading Company item is great to behold, but upgrade it five times for a beauty untold." "Meeting a rival pirate stood on their ship, will become legend if you send them in for a dip." "To shoot from behind is a cowardly act, unless it's with a blunderbuss as matter of fact." "A number of tentacles appeared from the ocean, you quelled the beast without showing emotion." "A lady once sailed through a storm at night, turned off her lights did she to show off her might." "A pirate salute proves you follow the Code, then upon you a new friend was gratefully bestowed." "A pirate once said that when you are sinking, playing some music is more helpful than drinking." "Patiently wait for a skeleton to 'cronch', then blow it away to ruin its 'lonch'." "The Ferry of the Damned opened its gates, and a tale you did tell through the circle of eights." "To fire oneself and nail a deck landing, requires a good aim and much understanding." "One thing all pirates do share in common, is the first memory of watching a ship sink to the bottom." "If you are of chests aplenty, this achievement unlocks at twenty." "To be a good crewmate is thinking of others, so vote on a voyage from your sisters or brothers." "There is an old saying that to win a sword fight, a tactical chunder will ruin their sight." "Being Commended is a pirate's delight, times it by ten and we'll celebrate all night." "To plunder one's Captain is a good ploy, but take it to port to experience the joy!" "Your dedication to piracy shall never be questioned, once you earn the hideout of Pirate Legend." "The month of June had a legend told, of a Griffin who 'cronched' a banana and was a sight to behold." "Sometimes hostility is not the answer, try racing a ship to see who's the faster." "Give a chest away or have it stolen, once it's cashed in your story is woven." "A legend was told of a five-piece band, who played shanties together and best witnessed first-hand." As you may already know, Sea of Thieves is comprised of three Trading Companies at launch, and each of them have their own dedicated achievements! "Into a Golden voyage a dagger was struck, but when voyage was completed you proved your luck." "The Hoarding of Promotions is one to embellish, to reach the top is a memory to cherish." "From the Captain's table you searched for a hoard, and upon completion you earned the reward." "First scale the heights in the Order of Souls, then to Master the Order is one of the final roles." "A vote for the Alliance was one well placed, completing the voyage will give you a taste." "Becoming a Master Merchant is no doubt vital, so celebrate your reputation with a new-found title." Within the world of Sea of Thieves, certain deeds earn what is known as a Commendation. These range in difficulty requirement from Grade 1 through to Grade 5, and upon unlocking the fifth and final grade of Commendation in each set a matching Pirate Title is awarded. We felt therefore it was only right that given how clearly this is an achievement, that it is remembered as such! "Awarded the Commendation for purchasing 250 X Marks the Spot voyages!" "Awarded the Commendation for 500 Gold Hoarder voyages completed!" "Awarded the Commendation for sailing 1,000 nautical miles on Gold Hoarder voyages!" "Awarded the Commendation for 1,000 Shipwrecked Chests sold!" "Awarded the Commendation for 150,000 gold earned from Gold Hoarder voyages!" "Awarded the Commendation for 1,000 Captain's Chests sold!" "Awarded the Commendation for purchasing 250 Merchant Alliance contracts!" "Awarded the Commendation for 500 Merchant Alliance voyages completed!" "Awarded the Commendation for sailing 1,000 nautical miles on Merchant Alliance voyages!" "Awarded the Commendation for 1,000 Gunpowder Kegs delivered on time!" "Awarded the Commendation for 1,000 Banana Crates delivered on time!" "Awarded the Commendation for 150,000 gold earned from Merchant Alliance voyages!" 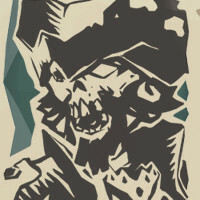 "Awarded the Commendation for purchasing 250 Cursed Captain Bounty contracts!" "Awarded the Commendation for 500 Order of Souls voyages completed!" "Awarded the Commendation for sailing 1,000 nautical miles on Order of Souls voyages!" "Awarded the Commendation for 1,000 Skeleton Captains defeated!" "Awarded the Commendation for 150,000 gold earned from Order of Souls voyages!" "Awarded the Commendation for 1,000 Villainous Skulls sold!"